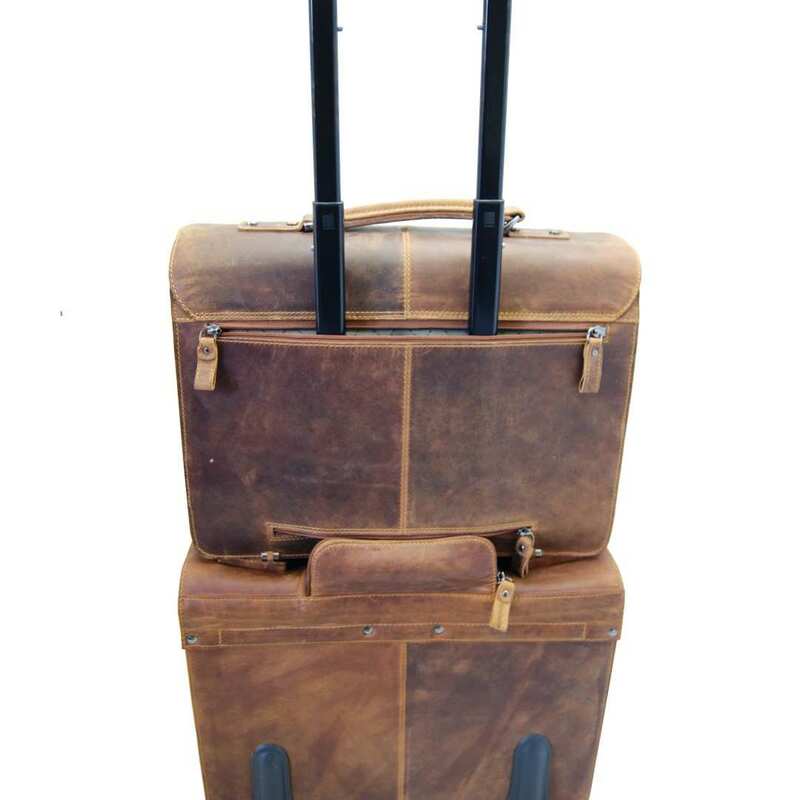 Product information "Large briefcase HEDIN brown Weideland-leather"
The large briefcase SVEN HEDIN with trolley base made of full grain grassland leather offers you much room for all documents and personal things you need on the go. By its distinctive design, the large briefcase made of full grain grassland leather radiates an aura of value and individuality. Carry it just as you prefer - in your hand or casually over the shoulder - and you will magically attract the glances of other people. 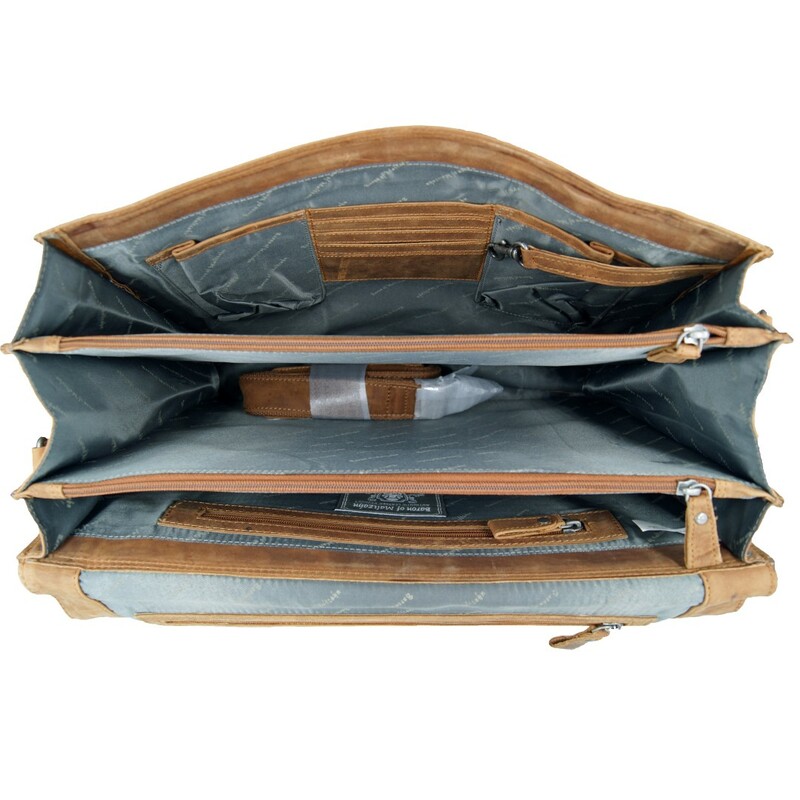 Open the bag and you will see three large main compartments as well as five zippered compartments. 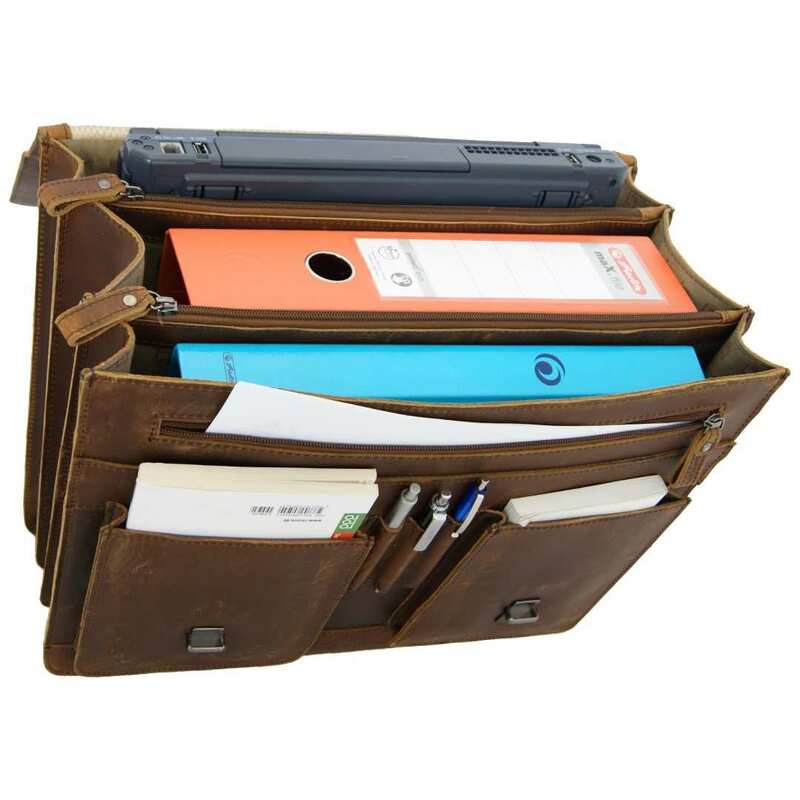 These are so spacious that binders, a laptop and personal documents can be perfectly stored in them. Other objects, like a pocket camera, a cell phone, business cards and pens can be well arranged in the appropriate pockets and slots. 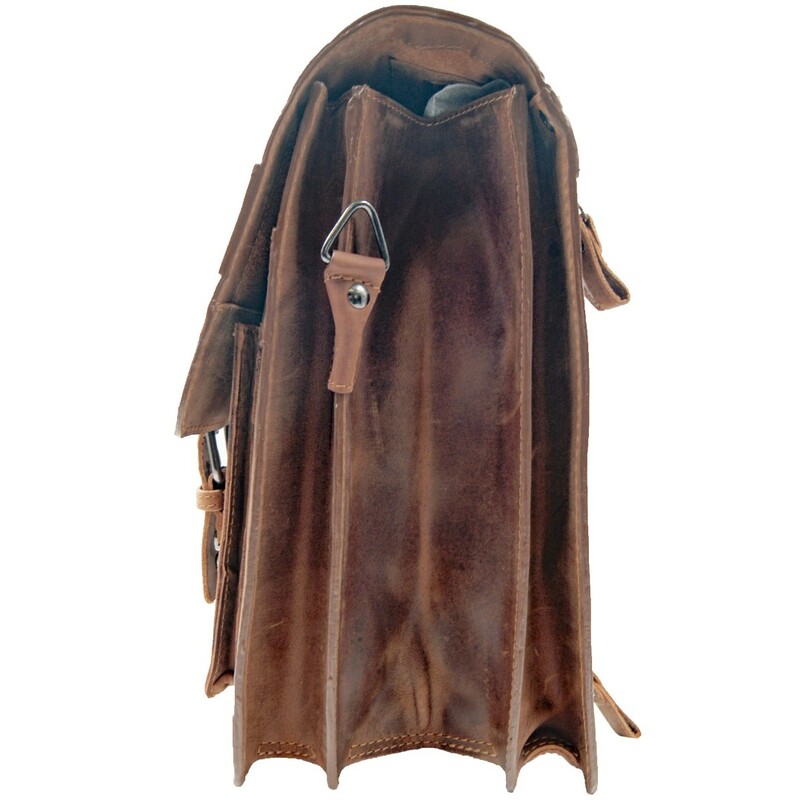 In the three front pockets is space for keys, a wallet, or similar things. Here they will be well protected from access from unauthorised persons and you will always have them quickly available. 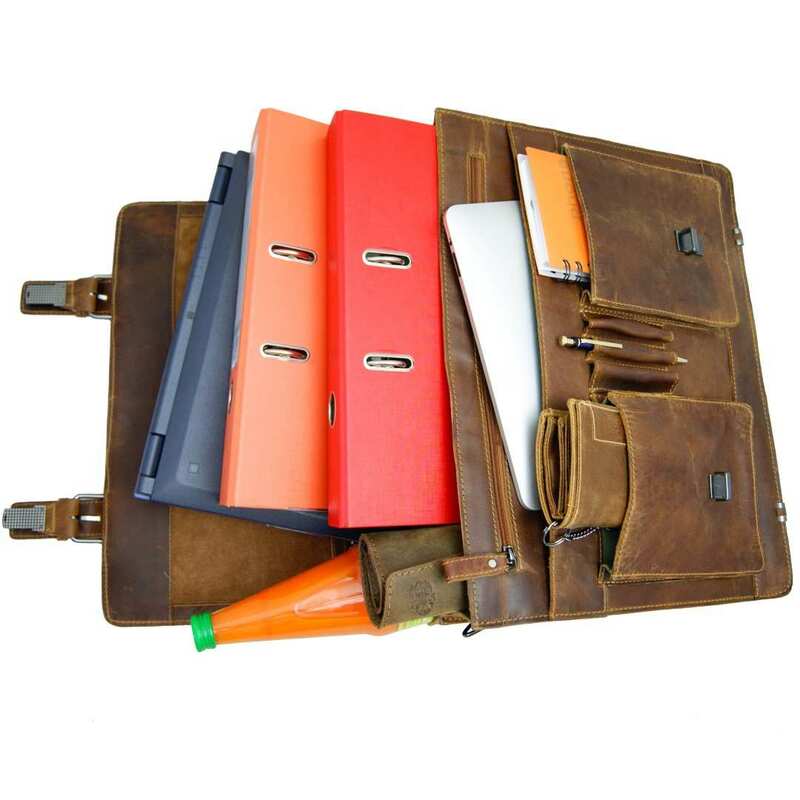 Our large briefcase made of grassland leather is very resistant. The main compartments have a size of 15.7 x 4.3 x 11.8 in (40 x 11 x 30 cm) as well as 15.4 x 2.4 x 11.8 in (39 x 6 x 30 cm). Five zippered compartments inside, one zippered compartment outside as well as three front pockets complete the comfort of the bag. The shoulder strap is individually adjustable between 35.4 and 57.1 in (90 and 145 cm) according to your preference. 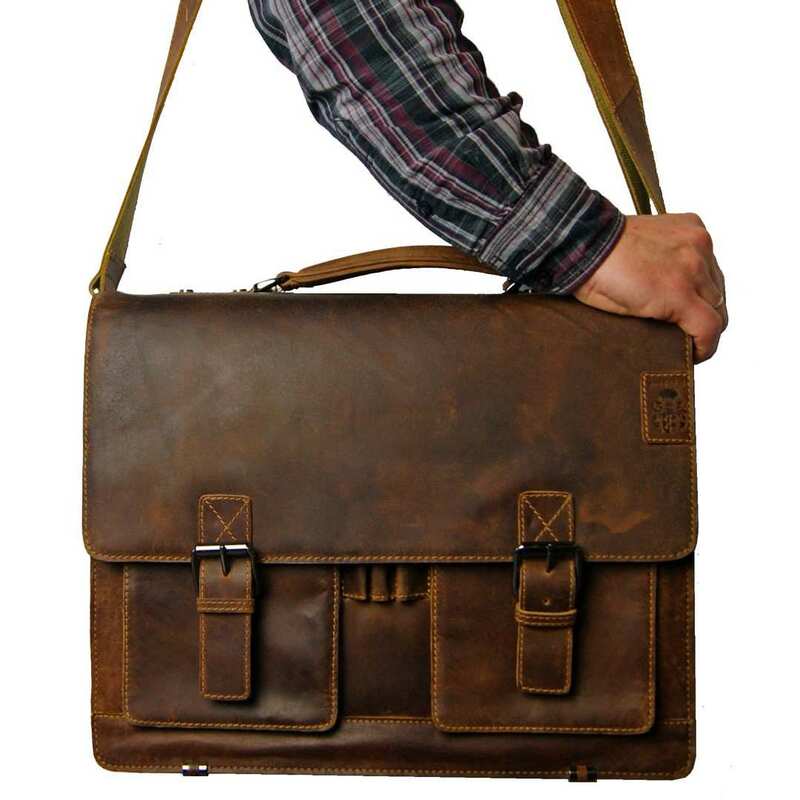 With this shoulder strap the briefcase made of full grain grassland-leather can be transported to any location easily. With his creations the designer emphasises exclusive design and functionality. This model captivates by its first-class look, its classic style, the excellent manual processing as well as the high grade fittings. Particular attention should also be given to the grassland leather which receives a distinctive texture by a special treatment. 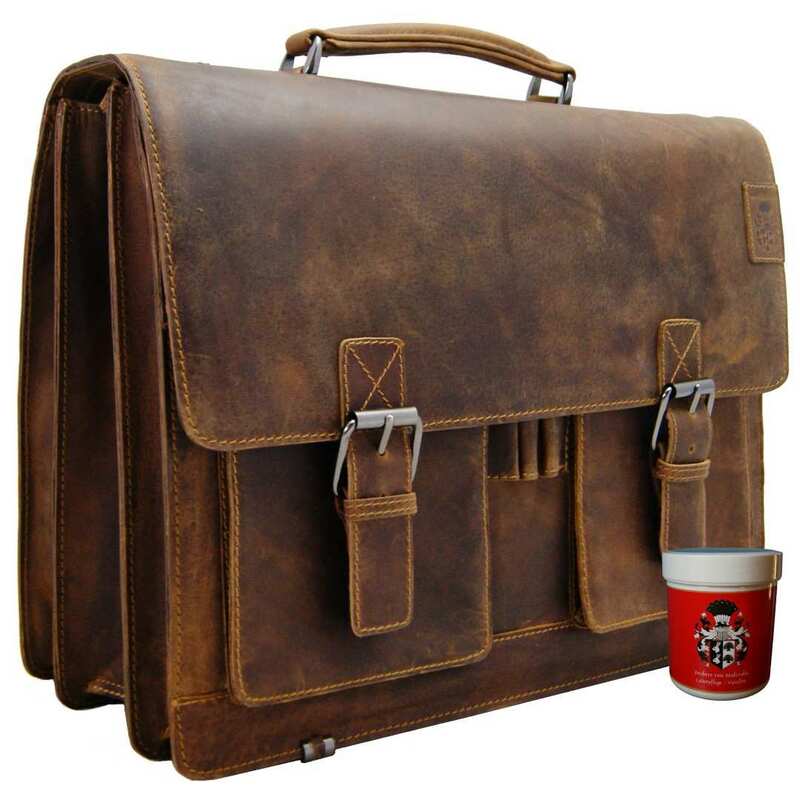 Reviews for "Large briefcase HEDIN brown Weideland-leather"
I'm very please with the bag and service. It arrived well packed and protected and the quality of the leather is excellent. It's tough and protects my laptop well. There are lots of pockets and zipped stowage. I was also pleased that it has a 2 year guarantee. The leather care cream that cam with it erases and marks and it just keeps looking better as I use it. Overall, a great product and I would buy again. In fact I'm ordering a very nice wallet and pencil case from The Baron as well.